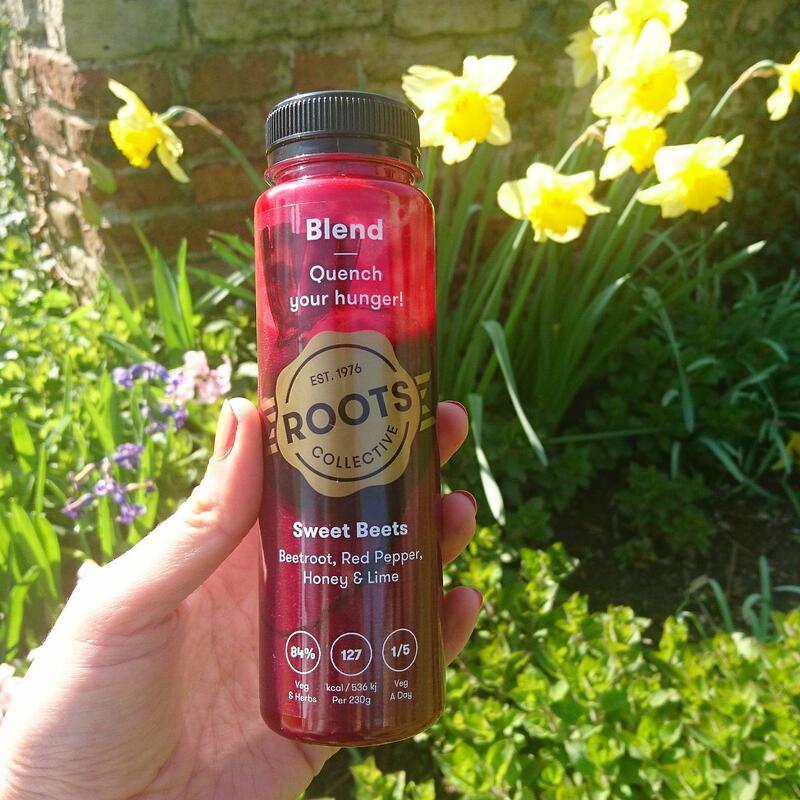 After bringing together some top tips for keeping healthy during pregnancy from some wonderful, inspiring women (see part 1 and part 2), I thought I’d share what I eat on an average day. After enduring the constant nausea of the first trimester, I’ve been able to go back to eating pretty normally throughout weeks 14-24+. 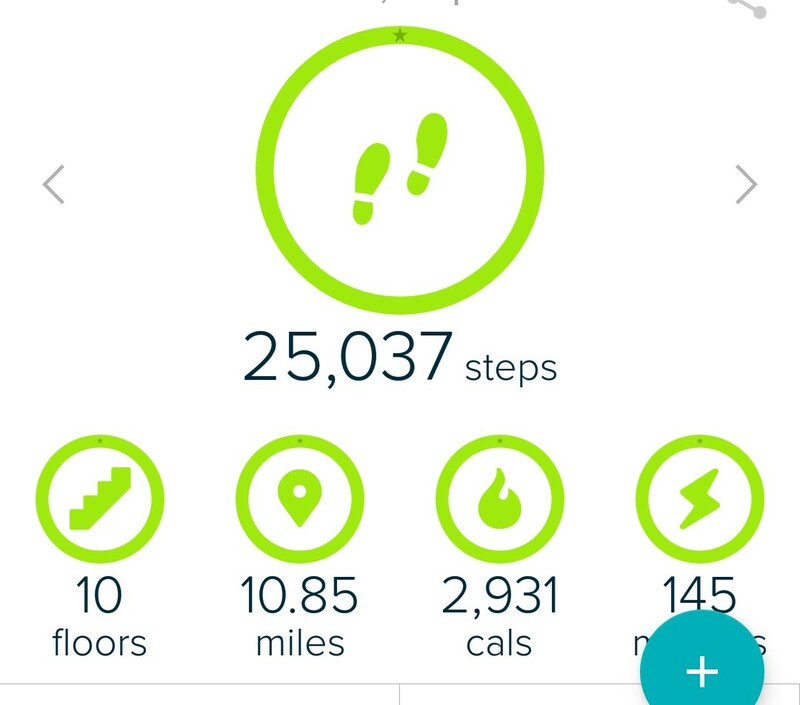 I’ve found my Fitbit to be really helpful in terms of indicating how much energy I’m burning: On average I’m expending about 1,000 calories a day through exercise so in total that’s about 2,500. I’m not one to count calories but I’m more conscious of making sure what I eat roughly hits that amount so both Baba and my body are getting enough from my diet. 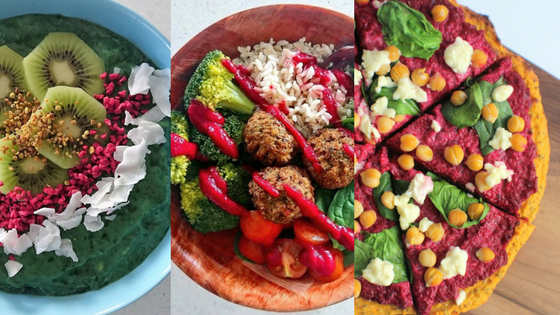 Besides cutting out the obvious things like unpasteurised cheeses, raw/undercooked eggs and some cooked meats, the only thing that’s changed is my craving for all things CARBS. 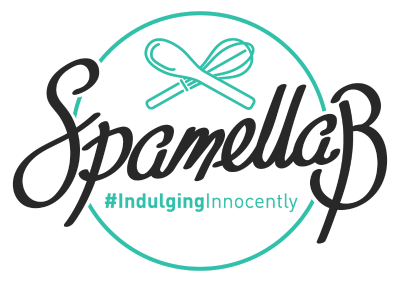 Potatoes, brown rice, sweet potatoes, plain popcorn, oats, tortilla chips, gluten-free pizza, thick-cut chips… All the savoury stuff! Pre pregnancy I actually limited the amount of carbs I ate, preferring a higher protein diet, but to be honest I feel like I have so much more energy! I start the day with an hour’s workout; a combination of weights and using my own body for some all-over body resistance training. 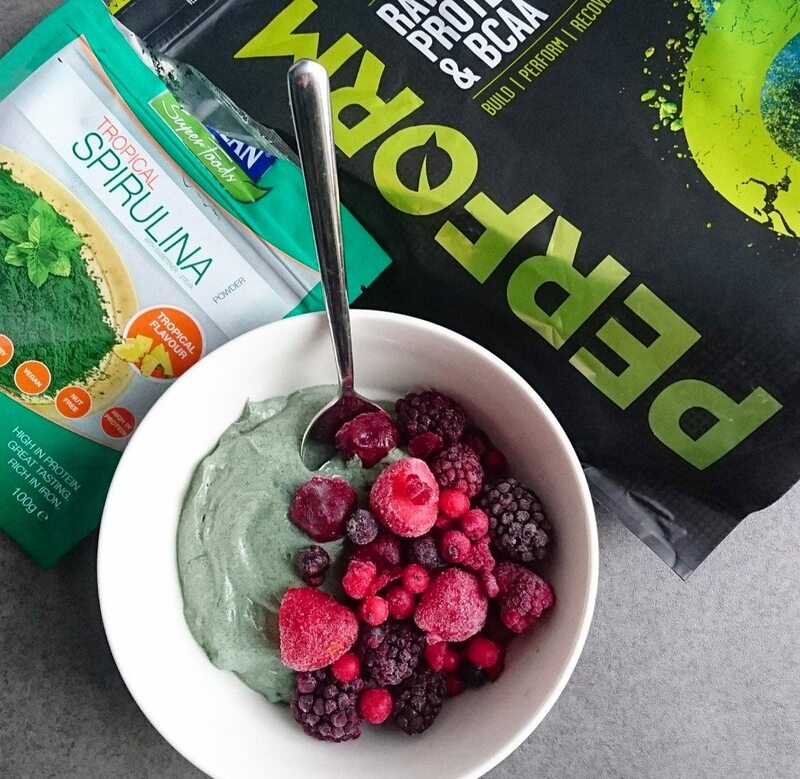 I refuel with a huge portion of fat-free Greek yogurt mixed with a scoop of vegan protein powder (Vivo Life Salted Maca Caramel), a teaspoon of some kind of green superfood powder (Bioglan Spirulina powder) and a dash of Cherry Active beetroot or cherry concentrate, served with loads of frozen mixed berries. It might sound a bit weird but it’s DIVINE and keeps me full for a few hours. This varies but it either consists of a bowl of soup (any of the Soupologie varieties or Asda’s own green vegetable-based one) served with wholegrain crackers (I love Raw Health Ancient Grain Cripsbreads with quinoa, buckwheat, chia seeds and paprika), or a salad combining cooked quinoa, brown rice or gluten-free pasta, loads of vegetables and falafel (Aldi’s gluten and dairy-free ones are spot-on! 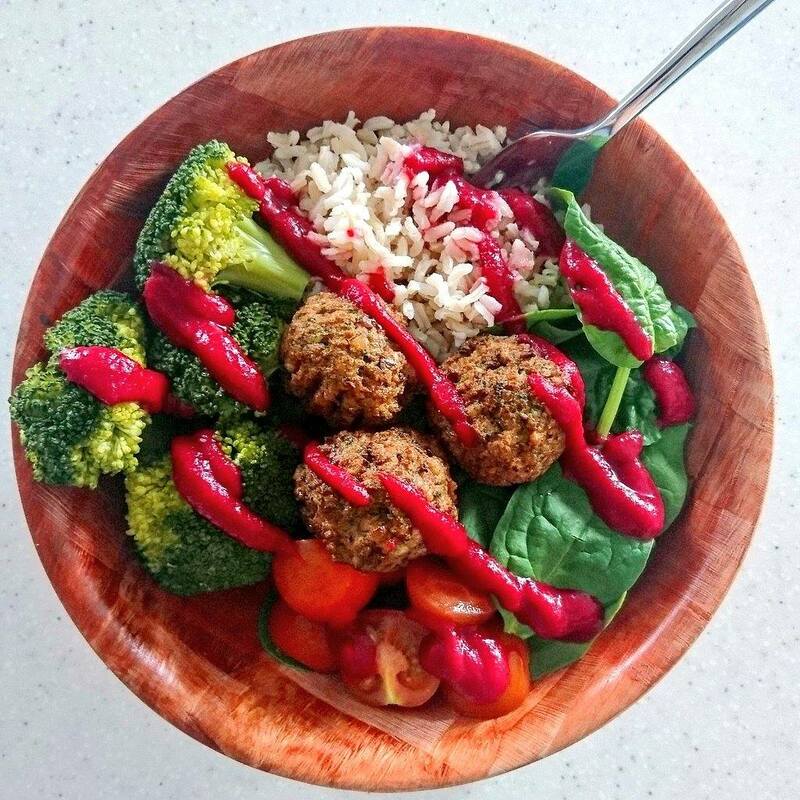 ), hard-boiled eggs or pulses, spiced up with my favourite beetroot ketchup from The Foraging Fox. I always cook from scratch, so this might be a vegetable-packed tomato based sauce served with gluten-free pasta (I’m loving Pasta Lensi chickpea or red lentil pasta at the minute) and lean meatballs (Heck ones are amazing), a healthy chicken or veg curry with brown rice, or a potato, broccoli and green bean bake with my own cheese sauce. 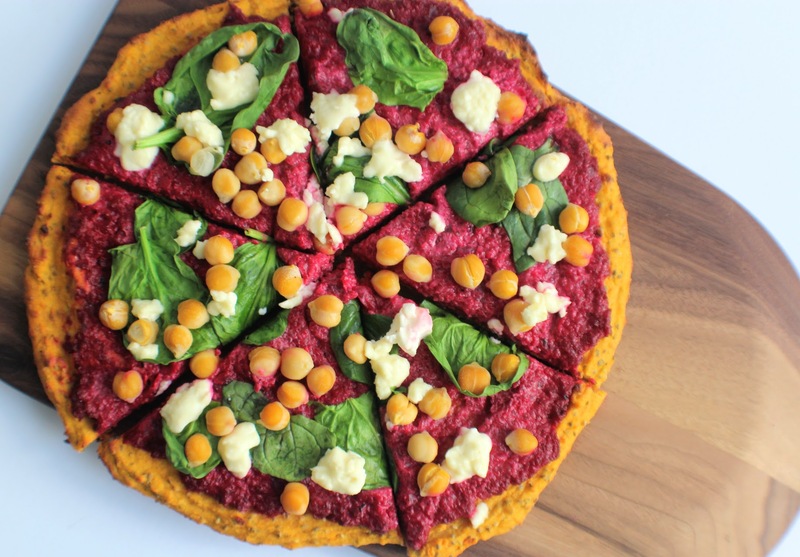 I love making my own healthy pizza (check out my Sweet Potato & Beetroot Chickpea Pizza), or if I feel like a real treat I’ll throw a gluten-free pizza in the oven – Dr Oetker’s are delicious! It depends on what I fancy at the time but vegetables form the main bulk of it, with complex carbs and some form of protein thrown in. 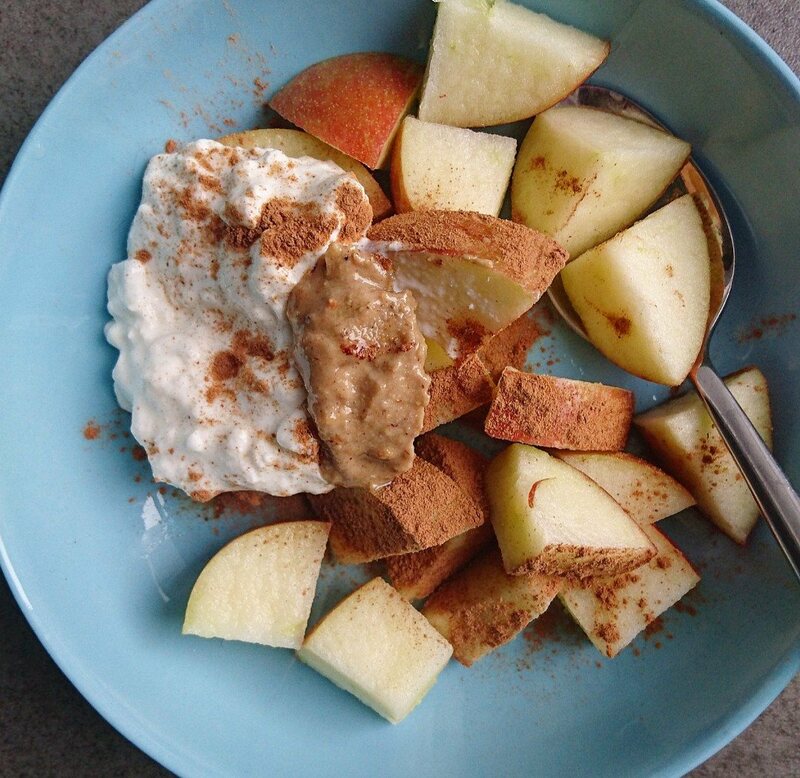 Chopped apple with cottage cheese, cinnamon and Jake’s Boost Tigernut butter is my all-time favourite snack, which I usually have mid-morning or afternoon. 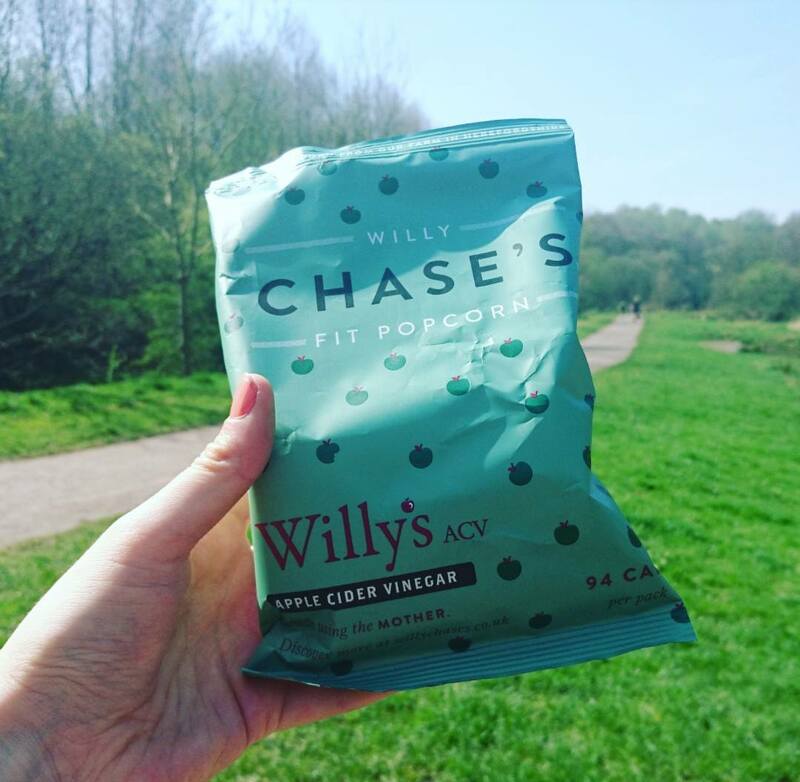 A small pack of savoury popcorn is also a winner (I’m absolutely loving Willy Chase’s Apple Cider Fit Corn), or Aldi’s salted rice snacks which I’m addicted to. 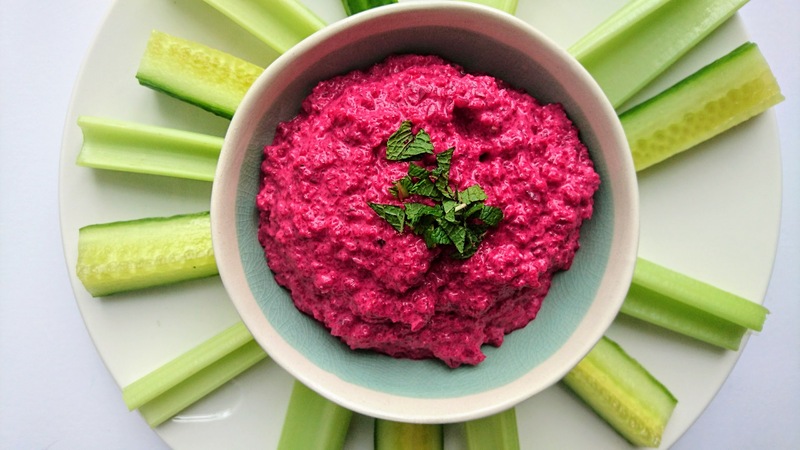 I’ve also started blending up my own dips – at the moment I love beetroot & feta – served with carrot, cucumber and celery sticks to dip in. 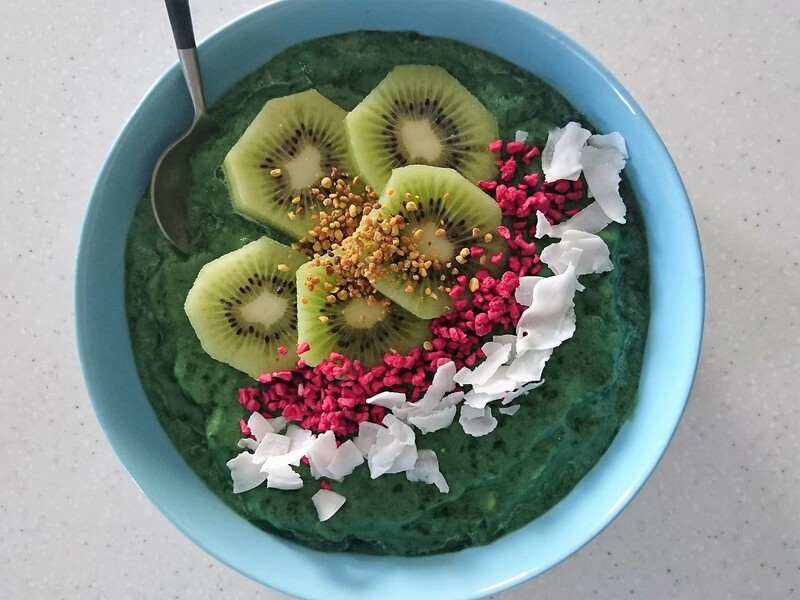 I also like to blend up refreshing smoothie made from frozen mango, papaya and pineapple (you can get this handy mixture from Aldi) with some coconut water, spinach and a green superfood powder like Spirulina or Chlorella. I used to live off herbal teas like liquorice, peppermint and lemon and ginger. 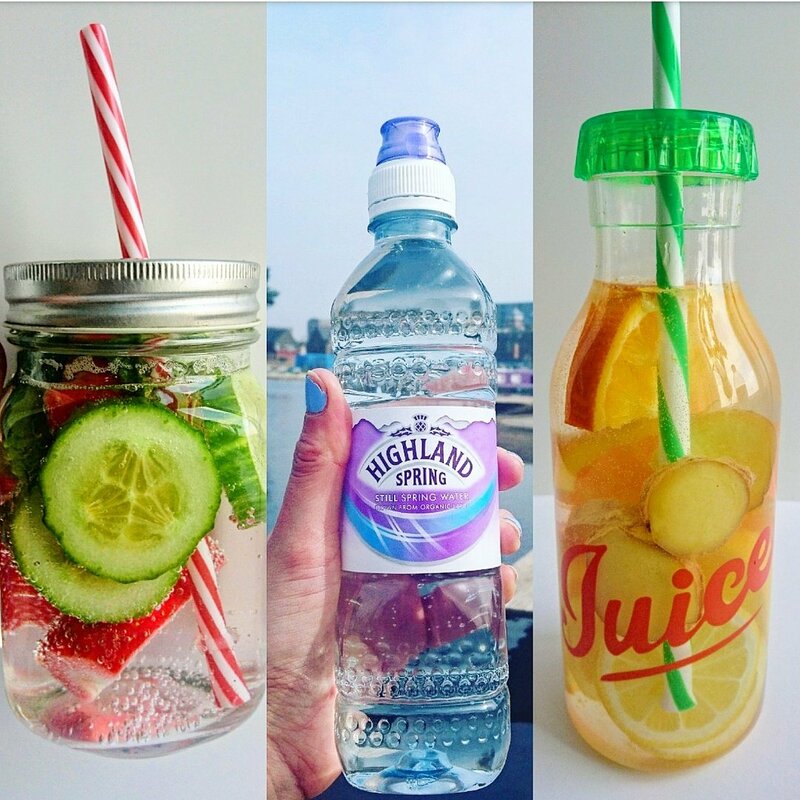 Weirdly, I’ve gone off certain flavours so instead I mainly drink plain boiled water – so boring, I know. 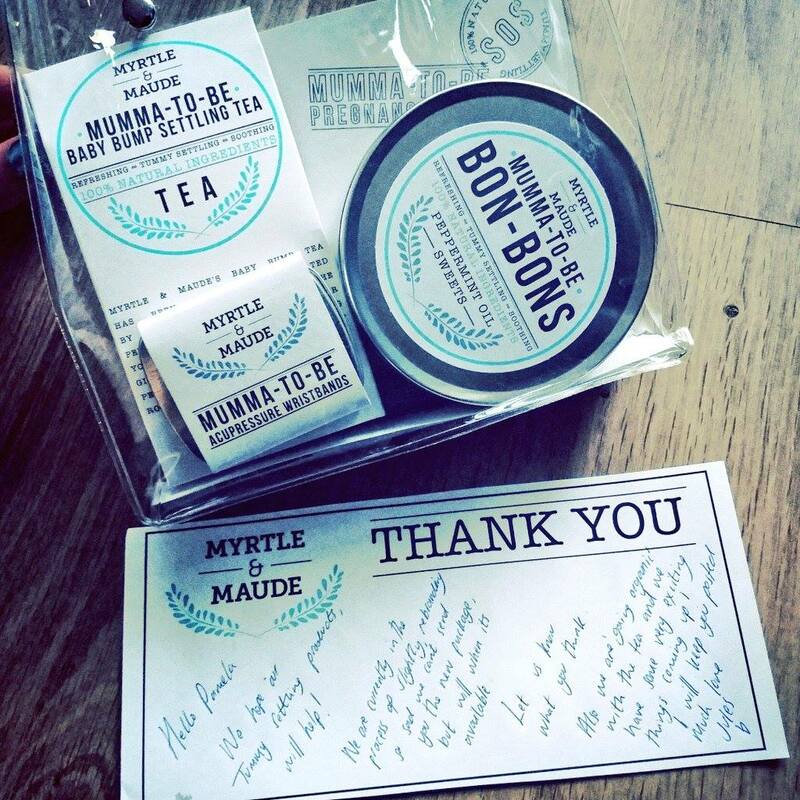 However the Baby Bump Settling Tea from Myrtle and Maude, a blend of peppermint, ginger, lemon balm, chamomile, rose petal and orange peel, has been a lifesaver, especially when I was feeling nauseous. 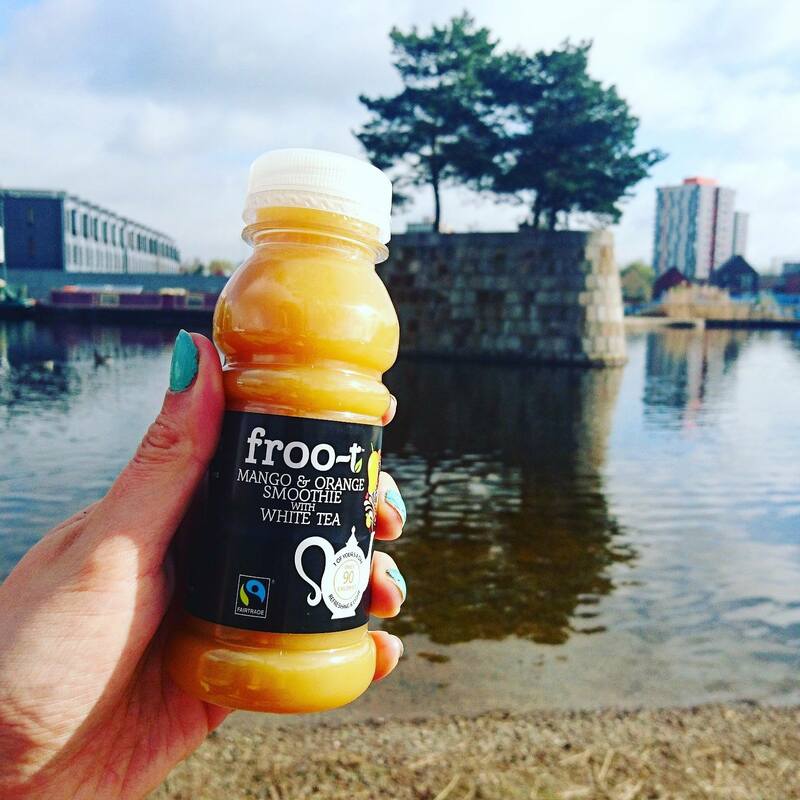 Having cut out coffee and tea that means no caffeine, but I’ve swapped it for a shot of orange juice mixed with ginger, turmeric and cayenne pepper for a zingy energy booster. I’ve gone off fizzy drinks and obviously not drinking alcohol, but other than that I like diluted no added sugar squash (it’s all about Kia Ora kids!) or jazzing up chilled still water with fruit, fresh herbs – I shared some of my ideas over here. 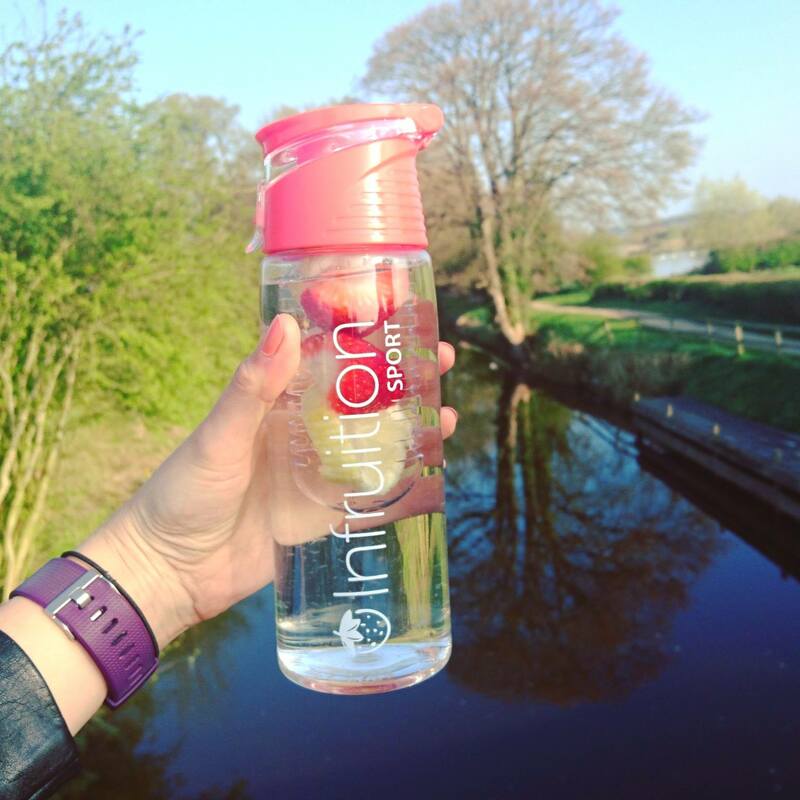 I also love using my Infruition fruit infuser water bottle when out and about, plus I’ve really been enjoying fruit and vegetable smoothies and juices like the ones from Roots Collective and Froot. The only additional supplement I’ve been taking is a Pregnancy Care multivitamin from Superdrug. 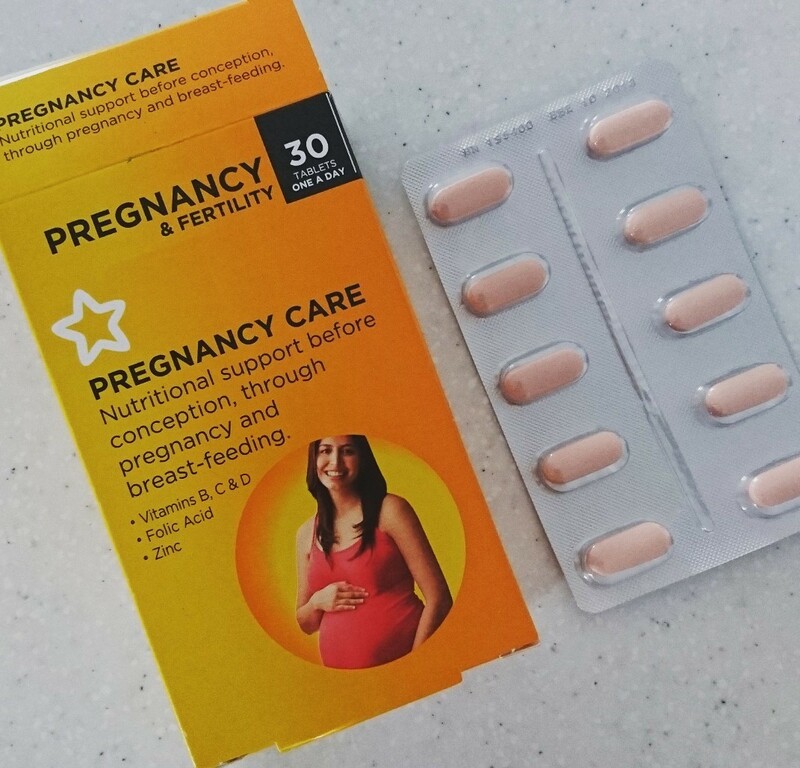 I read that there are certain vitamins and minerals that are required during pregnancy – mainly Folic Acid, Vitamins B, C and D plus Zinc, Iron and Calcium – so even though I’m eating a healthy and varied diet, this assures me I’m hitting the right levels. Of course, as much as I’m being very conscious to eat really well for Baba and I, I’m allowing myself the odd treat when I fancy it – namely CHOCOLATE. 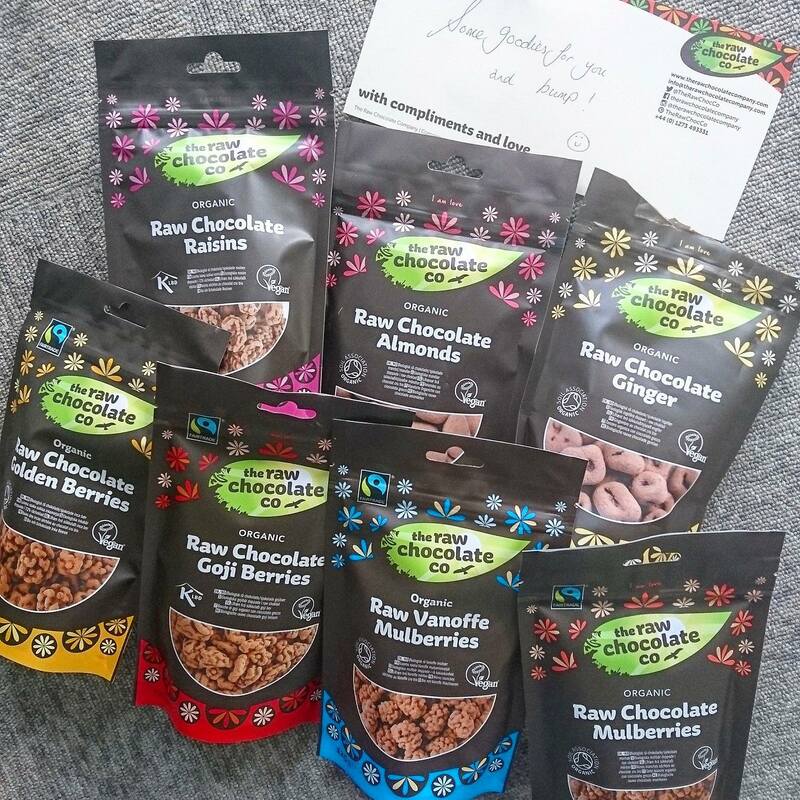 Thanks to the lovely people at The Raw Chocolate Company, I am well and truly stocked up with their no refined sugar, dairy-free and vegan goodies – honestly, they are to die for. 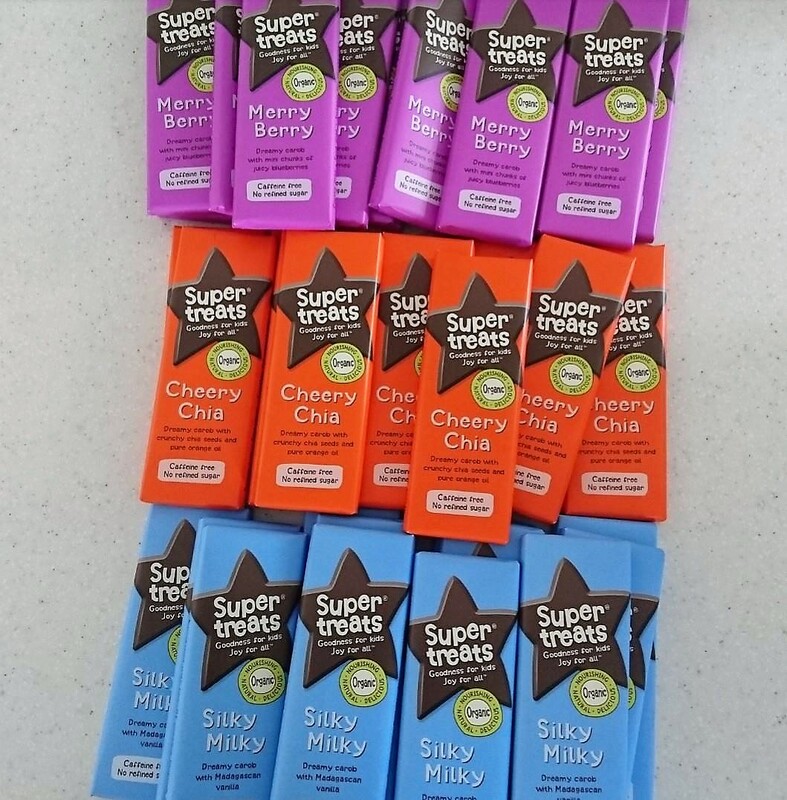 Another favourite (and caffeine-free alternative) are the carob bars from Supertreats, delicious creamy sweet treats – the brand new Cheery Chia one is incredible, a combination of orange and chia seeds. 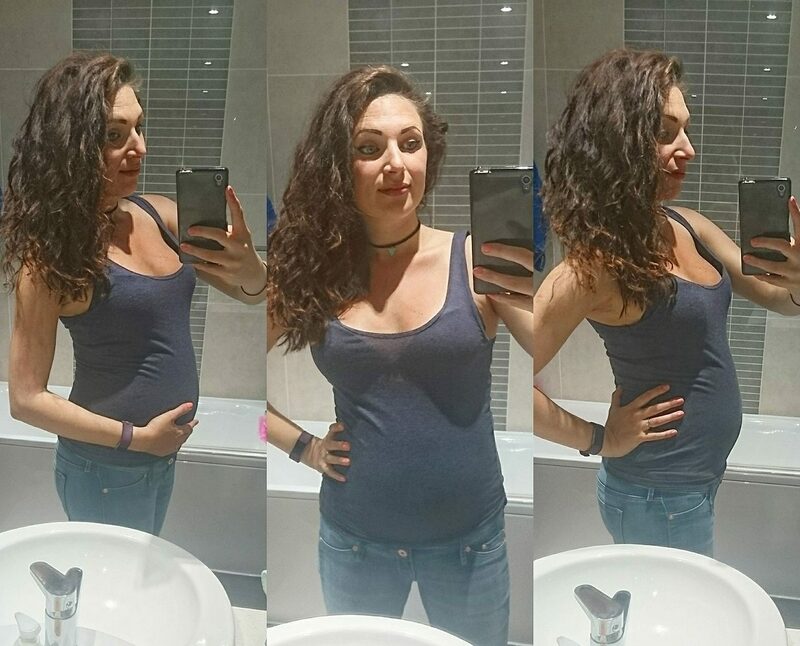 I hope you’ve found this post interesting – if you follow me on Instagram then I’m sure you’ve seen loads of food pics so keep updated as I go through the third trimester!